Aurora Cannabis (NYSE:ACB) is getting a ton of attention this week thanks to its recent earnings report. Aurora initially disappointed the market as its revenue numbers came in below expectations. This point raised some confusion. The company reported CAD $48 million in cannabis revenues, which was below expectations. Total revenues, which included a few other minor accounting items, hit CAD $54 million. That number beat analysts’ outlooks. ACB stock initially dropped about 5% following earnings. Since then, it reversed course and traded higher. That makes sense; at the end of the day, it’s the forward outlook that matters here, not a few million dollars of revenue this past quarter. On that note, the most solid bullish argument for ACB stock is that its patient base is surging. This quarter, it reported more than 73,000 active registered patients — more than 200% growth from the same quarter last year. Of course, bears will point to the huge losses that Aurora is reporting. The company lost CAD $238 million, which blows the revenue figure of CAD $54 million out of the water. Some of these losses appear tied to ramping up operations. For the back half of the year, Aurora projects positive EBITDA, and much smaller net income losses. That, combined with relatively downbeat sentiment here, make ACB stock a buy within its sector. Do be careful though, Aurora needs to start posting much smaller losses as its customer base increases or investors will lose patience fairly quickly. When it comes to medical cannabis stocks — as opposed to the recreational lane — GW Pharmaceuticals (NASDAQ:GWPH) is the king. GW Pharmaceuticals got involved with its epilepsy drug well before the flood of marijuana stocks hit the market last year. GW capitalized on its first-mover advantage by already securing FDA approval for its therapy while other cannabis stocks are still getting their operations up and going. The company has gotten widespread insurance coverage approval for its drug, Epidiolex. Earlier this year GW confirmed that the vast majority of both fee-for-service and managed- Medicaid providers will cover Epidiolex. Big private providers, such as Express Scripts (NASDAQ:ESRX) are on board as well. GW recently raised $300 million. That cash should give it plenty of runway to get Epidolex sales up and going while also funding its numerous other in-progress clinical trials. For a pureplay marijuana biotech stock, it’s hard to top GWPH. Cara Therapeutics (NASDAQ:CARA) is a bit more undercover as a cannabis stock. The company specializes in various therapeutic treatment alternatives that can serve as alternatives to opioids. As we’ve seen in recent months, opioids are a crisis in America. An estimated 30,000 people or so die from overdoses every year. This opens an opportunity for Cara, which I previously described. As it is, Cara has various drug therapies in development for pain management. Some of these involve cannabinoids, although its lead clinical candidate does not. In any case, with China increasingly in the news, CARA stock should shine as doctors look for alternatives to dangerous traditional opioids. CARA stock is up from $12 to $17 recently and could rise a lot farther once it picks up more backers from the medical marijuana stock community. 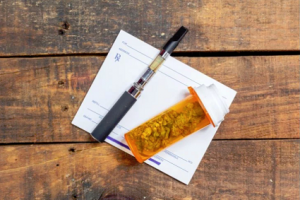 KushCo Holdings (OTCMKTS:KSHB) is arguably the clearest medical marijuana distribution play in the United States at this time. The company used to be called Kush Bottles, which shows the company’s main product line. However, KushCo has branched out past just packaging to provide a variety of supplies for medicinal marijuana sales. By partnering with more than 5,000 pharmacies and dispensaries around the world, KushCo has established a powerful first-mover advantage in its field. That said, there are reasons for caution with KSHB stock. You might think that this is a cheap stock. 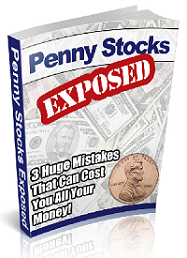 It is trading for less than $6 and is not listed on a major stock exchange. Despite those factors, KushCo has a market cap of more than $500 million, as the company has issued many shares to fund its growth. As appealing as the “picks and shovels” play on the marijuana industry sounds, KSHB stock comes with risks. That $500 million market cap is backed by just $50 million or so in current assets, putting a 10x valuation multiple on its property, inventory, cash, and so on. Also, you should take note of the company’s gross margin. Its gross margin has plummeted from 35% to 13% in recent quarters, resulting in KushCo making increasingly large losses despite growing revenues. KushCo has an interesting business model and a strong advantage from its robust distribution partnerships. But it needs to start showing that the business can turn profits before the stock can find further upside. What happens when a struggling more-than-century old tobacco company turns itself into a marijuana play? The stock soars. Meet the company previously called Alliance One, now known as Pyxus International (NYSE:PYX). For the past two decades or so, Alliance One showed flat to declining revenues as its tobacco business declined. So, last summer, using the hemp workaround to avoid legal issues, Pyxus pivoted to the marijuana market and changed its name, and PYX stock flew. In fact, PYX stock soared from $13 at the start of 2018 to as high as $40, aided by favorable calls from the likes of Citron Research, among others. But the enthusiasm wouldn’t last long. Once investors came to their senses, they saw that Pyxus remained heavily in debt and stuck to its legacy tobacco business which faces uncertain prospects going forward. There are a lot of cannabis stocks out there; there aren’t many that have more than a billion in debt like Pyxus does. PYX stock soared more than 30% on Tuesday following its earnings report. The market clearly liked what it saw, starting with nearly 10% revenue growth. But the company continues to lose large amounts of money. It reported a GAAP EPS loss of 56 cents per share. It will need a far bigger turnaround to justify anything close to its current share price. The recent share price spike offers speculators an ideal opportunity to sell PYX stock. GB Sciences (OTCMKTS:GBLX) is — in one way similar — to KushCo. Despite trading on the Pink Sheets and having a tiny share price, GBLX stock isn’t necessarily undervalued. GBLX stock, in fact, sells for under a quarter but, due to a large share count, has a market cap of almost $60 million. I don’t want to pick on GBLX stock in particular, as there are a bunch of medical cannabis stocks like GBLX. But it’s worth noting one like this to see the pattern. You find a bunch of these, companies that are attached to whatever the current trend is popular but don’t have many resources of their own. In the case of GB Sciences, they had just $3 million in cash as of their last quarterly report. That’s not a good sign, as the company has $2.1 million in current liabilities and more than $8 million in total obligations. That will make it hard for the company to achieve its goals in terms of studying Parkinson’s and other serious diseases. Yes, GB will put out more press releases and garner more media attention, but without far more cash, the stock isn’t going anywhere in the long run. GBLX stock plummeted from a high of 80 cents to just 14 cents last year. If you’re already long, take advantage of the recent rebound to get out at 24 cents — GBLX will likely go a lot lower in coming months. Lexaria Bioscience (OTCMKTS:LXRP), like GB Science, is a penny stock on the Pink Sheets exchange. However, LXRP has a lot more credibility and gives us a good example of the contrast between an investable speculation and a risky gamble. Lexaria is a higher-quality medical cannabis stock because it has a strong backer: Altria (NYSE:MO). Altria famously lifted Cronos (NASDAQ:CRON) into the big leagues with its massive investment at $12/share. CRON stock went on to hit $25. Altria got a lot less attention with its recent investment in Lexaria, but it may end up having a similar effect. Earlier this year, Altria agreed to invest up to $12 million into Lexaria. Why did it do that? Lexaria has a novel patented technique for oral delivery of drugs. Obviously, this potentially has a huge market in the medicinal marijuana space. As it is, Altria has validated the technology by investing in it and seeking to commercialize it for nicotine. At $1.30 a share and a $100 million market cap, LXRP stock is still highly speculative. But unlike many medical cannabis stocks, Lexaria has promising technology and enough financial backing to potentially deliver strong results for its investors. At the time of this writing, Ian Bezek owned MO stock. You can reach him on Twitter at @irbezek.